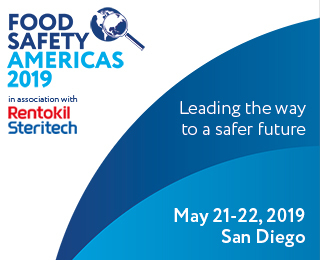 Food safety is traditionally centred around mitigating the most immediate risks to consumer health and wellness, and is primarily focused on microbiological contaminants with the potential to cause serious adverse health effects in the short term. At the same time, our society is focused on avoiding health risks related to environmental contaminants such as mold and cigarette smoke. Why? Because long term exposure to these compounds has the potential to cause severe adverse health effects. The repercussions of exposure to cigarette smoke often don’t become evident until 15-20 years later in the form of cancer. Despite the fact that as a society we’ve embraced the need to mitigate the impact of chemicals that have long-term health consequences, this concept has yet to permeate the definition of “food safety.” Industrial and environmental contaminants and toxins often fly under the radar of typical food safety regulations and protocols. 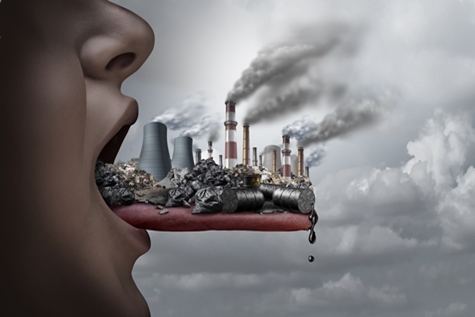 These contaminants include heavy metals like lead and process contaminants like acrylamide, both of which have been linked to serious long-term harm in humans and animals, even when present below levels associated with acute or “short-term” harm. While some state-level regulation concerning these contaminants exists, and the FDA does periodically monitor these contaminants in human food, there is far from a universal system in place to ensure mitigation of contaminants in consumer-packaged goods. Make no mistake, the jury is not “out” on the risk these contaminants pose. The American Academy of Pediatrics says there is no safe level of lead and that there is a direct correlation between increased lead exposure and an increase in hyperactivity and a decrease in IQ. While infant formula is the most highly-regulated food in America when it comes to nutrition, at the federal level, we have no overarching food safety regulation when it comes to heavy metal contamination. On March 12, 2018, an independent report published in the peer-reviewed journal Lancet Public Health found that “lead exposure may contribute to more than 400,000 deaths of adults each year in the U.S. That number includes 256,000 annual deaths from cardiovascular disease, suggesting that lead exposure may be a significant, overlooked risk factor for this leading cause of death.” This study comes on the tail of an analysis by both the Environmental Defense Fund and Healthy Babies Bright Futures that reviewed infant and children’s dietary arsenic exposure and questioned the protections in place to protect the nation’s most vulnerable populations. 2) They are intentionally sourcing from suppliers growing ingredients in less-contaminated soils and/or they have testing, control points, and quality assurance systems in place to proactively identify these risks. 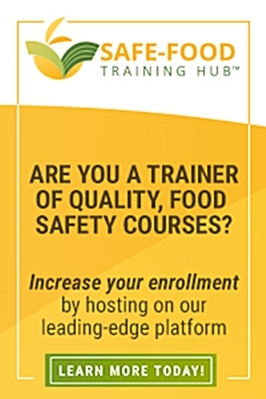 The food industry puts product specifications, HACCP programs, and other protections in place to minimize exposure to pathogens that can make people violently ill in the short term. So why aren’t we putting these provisions in place when it comes to contaminants that are known to cause harm in the long term? In the absence of regulatory change, consumer economics will drive industry reform. The media and consumer traction will ultimately pull through brands looking for a differentiator and those catering to this evolving consumer safety expectation will win. Welcome to the next frontier of food safety: food toxicity. Jaclyn Bowen MPH, MS is the Executive Director of the Clean Label Project, the national non-profit organization focused on changing the definition of food and consumer product safety in America through data, science, and transparency. Under Bowen’s leadership, Clean Label Project conducted and published three of the largest studies of their kind on industrial and environmental contaminants in infant formula/baby food, pet food, and protein powder. In each study, Clean Label Project sampled and tested the top selling products in each category, tested them for 150+ contaminants (including heavy metals, pesticide and antibiotic residues, BPA/BPS, acrylamide, mycotoxin, and melamine and its analogues), and released the benchmarked results to consumers via a 5-star rating system at CleanLabelProject.org.